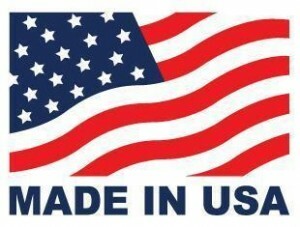 Competitively priced, the simple design, quality construction, and consistent operation result in an industry best buy. We stock our check valve in sizes from 3″ through 10″ for immediate shipping. 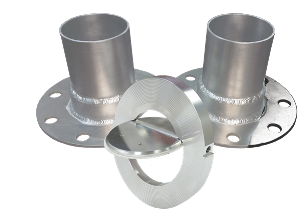 These lightweight aluminum valves are designed for installation between two flanges in vertical or horizontal piping systems. This check valve will provide years of trouble free operation. Check valves operate in a one-way direction to prevent process flow from reversing in air and gas systems. Flow in the desired direction opens the valve, while backflow forces the valve closed. 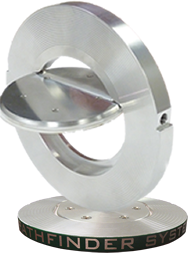 Our wafer-style swing check valve features a balanced disc where only 33% of the disc area is unbalanced. This is considerably less than conventional check valves. This feature tends to reduce back-flow and eliminate slamming (a major factor in valve failure), and permits the disc to open with a minimum of pressure differential. Stock item for FAST DELIVERY!